I think the table I built for our new hobby room came out pretty well. Having only really done woodwork on speakers, I am most comfortable working with mdf so this is mdf with an alder veneer to match the cabinets in the room. 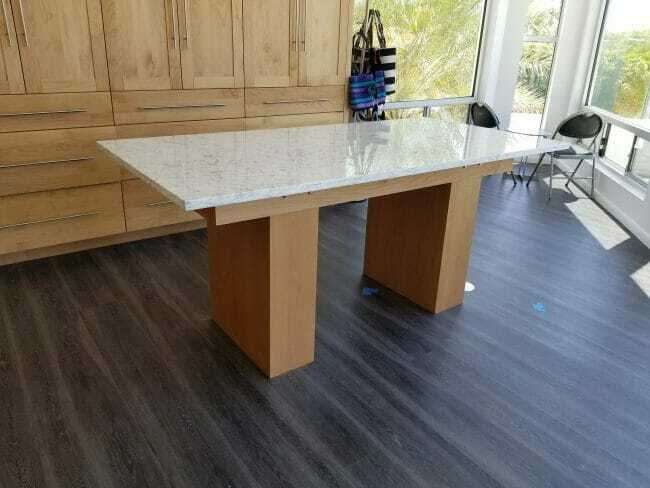 Because I knew the slab of marble (a scrap we found at the stone store on discount) was going to be super heavy (something like 400 pounds) the table is built super solid. I will say that modern design is much easier to build than something antique-looking - really this is only rectangular boxes and frames so it was pretty easy. Taking in account the over-designed pedestals that are 3/4 inch mdf with interior baffles, this whole things weighs almost 500 pounds. I observed to my wife, who wants to use it as a cutting table, that it would make an awesome beer pong table. Perhaps when she is out of town we will have a coyoteblog get-together to try it out in that mode. Next up, I finally have small room to do my model railroading in so I will be boring you with updates on that particularly geeky hobby. Ben is a fan of model trains, Game of Thrones (his eBay username is "Tall Tyrion Lannister",a reference to a character from the franchise), Batman (he purchased a Batman suit when he joined Donna and Tom for Treat Yo Self), Star Trek (he writes Star Trek fanfiction, and had expressed a preference for Captain Picard over Captain Kirk), Fringe, Harrison Ford, Twin Peaks, Homeland, and Star Wars (among other things). I am comfortable with all of this except perhaps for the preference for Picard over Kirk. 3D desktop printers are really making progress. 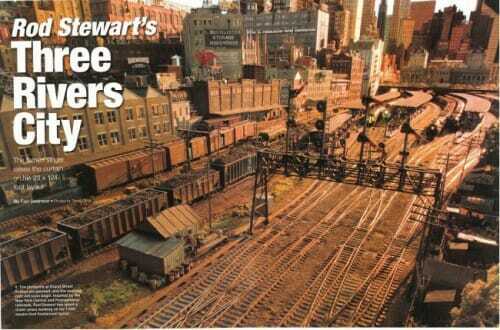 My sense is that soon this will be absolutely essential for my hobby (model railroading). Update: You don't have to own one, a number of companies emerging that will print your designs for you. About 5 seconds after I posted the hypothesis that I would soon need a 3D printer for model railroading, I read a model railroad blog post about ordering a custom locomotive shell from this site. From that site saw an idea I had not thought of - custom Legos! 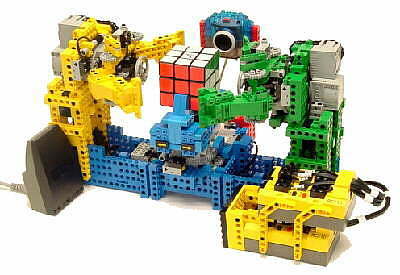 How often in my young Lego-obsessed days did I long for a special piece of a certain shape that did not exist. Now, make your own! 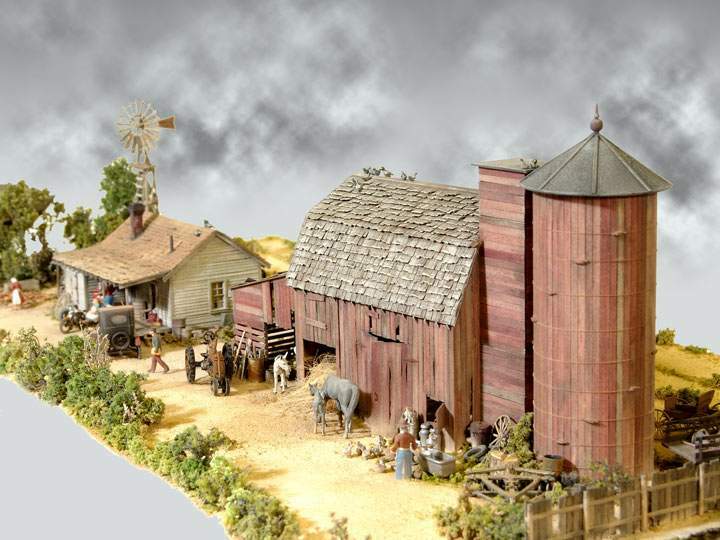 For those of you who, when I mention model railroading, think of Lionel trains on a grass mat with a few plastic buildings, check out some of the examples on this site. 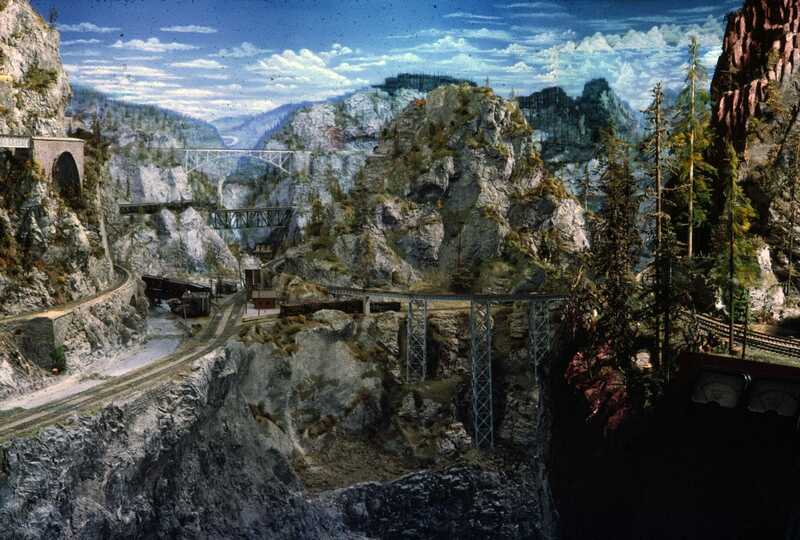 In particular, you can't get a much better introduction to fine model railroad craftsmanship than the work of Karl Osolinski. Enjoy. Never heard of tilt-shift photography until today, but it is cool. Here is an example - real scenes are digitally manipulated to look like it is a model. Which in fact is exactly the opposite of what I try to achieve with my model railroading. Update: The video seems to have left the building. I am a little late to the game on this stuff -- apparently hobbyists have been using it for crafting. 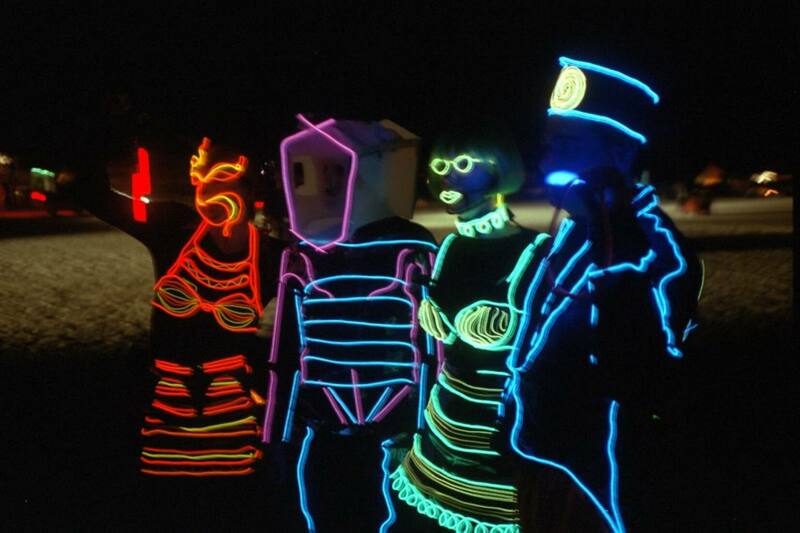 For example, who wouldn't want a Tron outfit? To date, I have mostly sheltered readers from the geekiest of my hobbies: model railroading (Yeah, I know what you are saying -- how can anyone who spends hours a day at a computer writing on arcane bits of business and economics issues possibly be anything but cool?) This may soon change, as I am starting a new N-scale layout and I will probably inflict some in-progress photos on you folks. To get an idea just how crazy I am, I build my own track from wood strips and bundles of rail and tiny, tiny spikes -- so we are not just talking about putting the old Lionel out on a green table cloth. 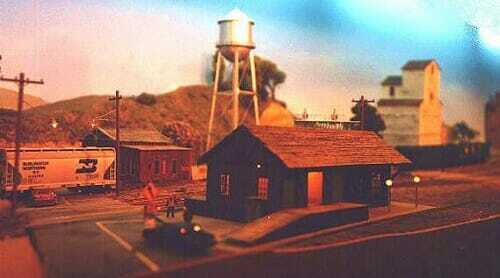 Anyway, for some time I have wanted to build a layout that is primarily meant to be run in the dark as a night scene. So I am experimenting with a lot of technologies, from florescent paint to tiny LED's to small bulbs to get ideas for various scenes. 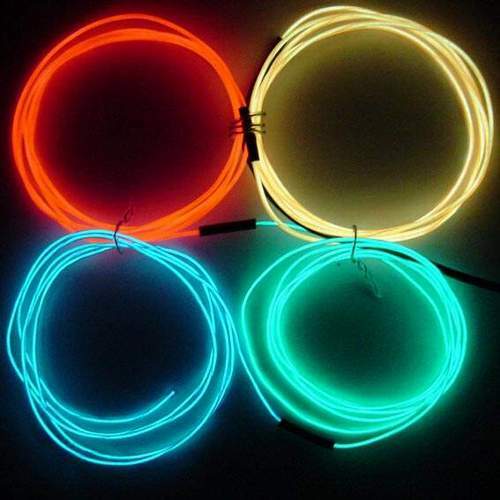 The EL wire turns out to be a dead ringer for scaled down neon, so I expect to use a lot in the city part of the layout. If you get intrigued with his work, more photos are here. I wish I had more pictures of my old work, but they seem to have been lost in a move. All I have left is a few poor-quality, poorly-scanned under-construction photos of my first layout from years and years ago. Postscript: Can a hobby be geeky if Rod Stewart shares it? 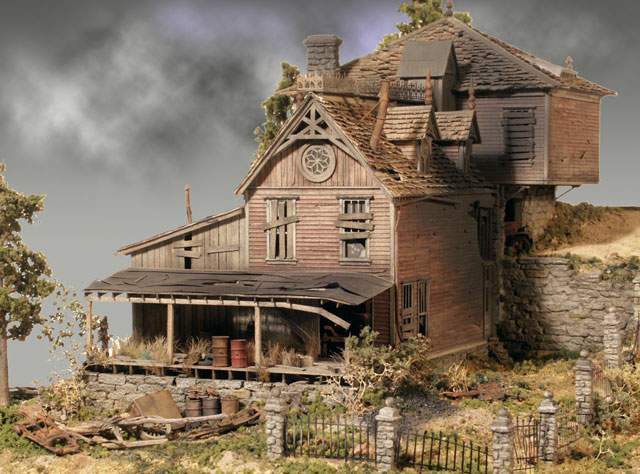 He has built an absolutely stunning layout - one photo below and more here. And yes, the work really is his own, he didn't just pay someone to build it for him. 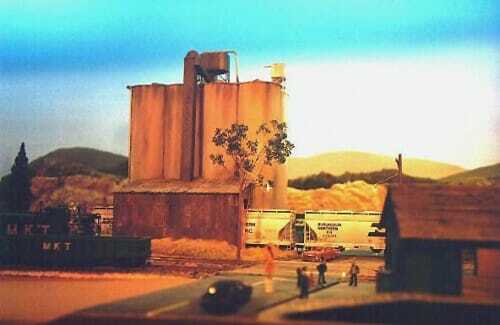 Almost exactly 10 years ago, on my son's 5th birthday, I bought him some large scale (G-scale) trains and track. It was a logical present given that I have always been a model railroader myself, though with smaller scale trains (HO and now N) and a different approach (for example, I fabricated my own track rather than buying it). Anyway, I bought 4 boxes of track from the leader in large scale, LGB, for $85 a box (I know because the price tag is still on the boxes). We used the track only lightly and indoors. Over the holidays, 10 years later, we decided to get rid of it. I almost just gave it way, but put it on eBay instead. Well, apparently LGB went out of business, and its track is still very much in demand on eBay. I sold the boxes for an average of $200 a box. That is an annual return, even leaving out the use we got out of it, of 8.9%. Compare this to the 10-year return of the S&P500 index as of 1/2/09 of -1.4%. Can you say, "found money?" I find I link to Wikipedia a lot for explanations of terms I use that people may not be familiar with (the most recent being "badger game" in this post). So, to return the favor of all those who have written the Wikipedia, I wrote my contribution, adding an entry on Workamping. It required about an hours worth of time invested learning their formatting commands and best practices, but it turned out to be pretty easy. It was kind of interesting to see the other niche areas I have knowledge about but for which there are no articles yet. I am currently adding and editing content for model railroading.